Lifts 11, 1 Funicular, 5 Buttons, 4 T-bars, 1 Handle tow. 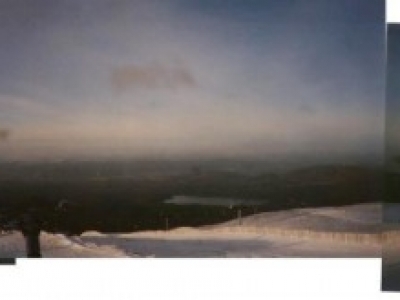 Prior to the mothballing and removal of lift infrastructure in the Ciste, the quoted total was 37km. 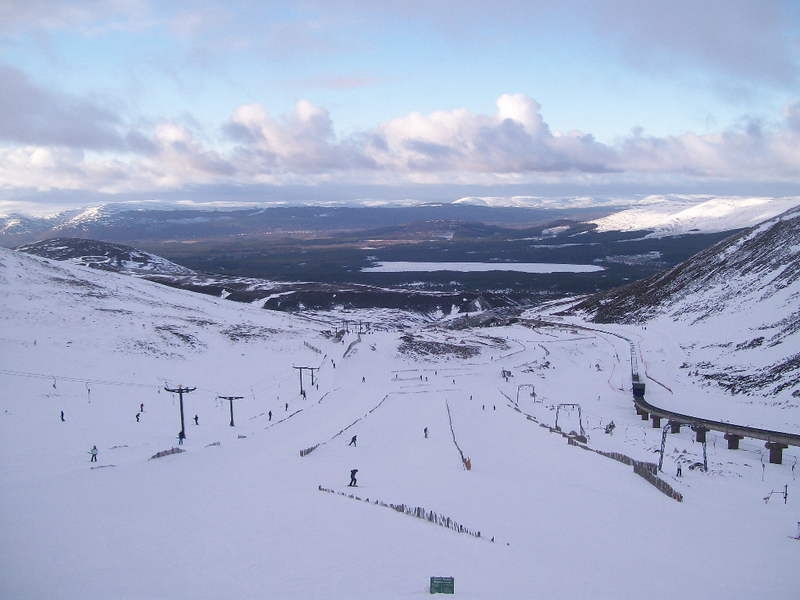 Cairngorm is the most well known of the Scottish ski areas and has plenty of good skiing for skiers of all abilities. The ski area divides roughly into 4 sectors, Corrie Cas, Corrie na Ciste, Ptarmigan Bowl and the White Lady. 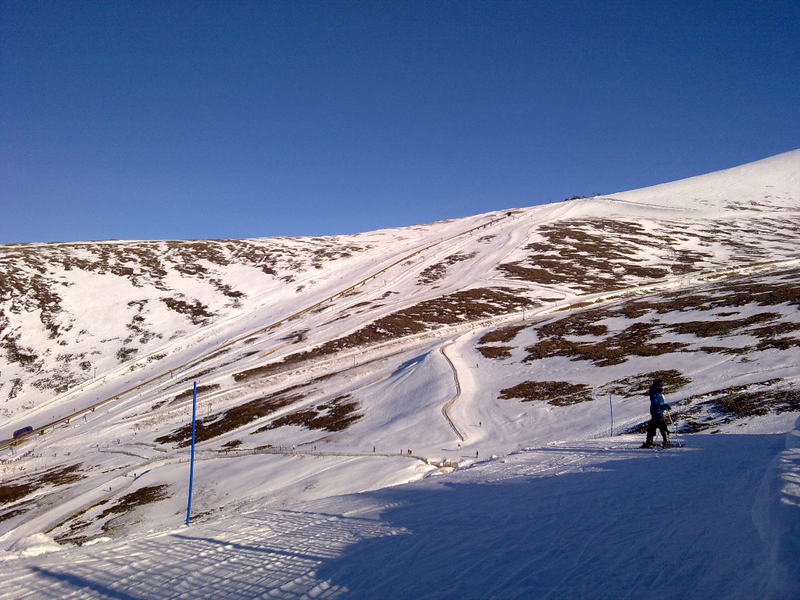 The main beginner areas are located in Corie Cas and the Ptarmigan bowl which contain a variety of green runs and a few blues. 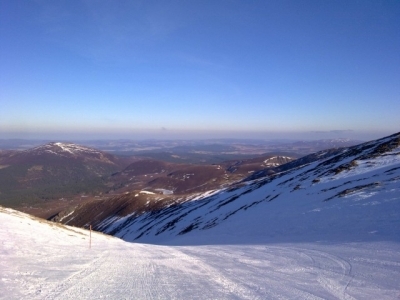 The Ptarmigan bowl is particularly good, given it’s comparatively high altitude, the snow here is generally a lot better and more reliable than beginner areas at other Scottish centres. Skiing in the Ptarmigan is frequently possible through till the end of May. 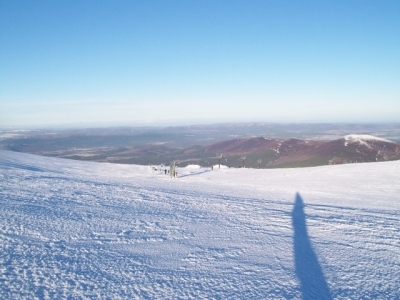 Corrie Cas is a wide open bowl, sheltered by a ridge which runs most of the way around the bowl. 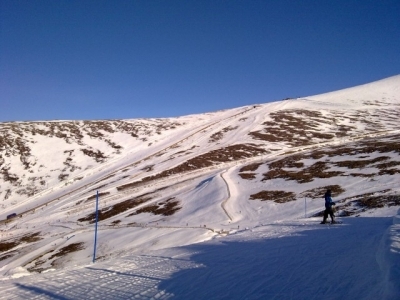 Intermediate and advanced skiers are best advised to head for the White Lady and Corrie na Ciste. The White Lady is a fairly open mountain side, rising out of Corrie Cas and has a number of good reds running down its face. By contrast, the Ciste is a narrower gully which runs down from the base of the Ptarmigan bowl. A red run goes straight down the base of this gully, while a pair of blacks pick there way along the top edges and then plunge straight down the gully walls (the east and west walls). Though tricky, the ‘business end’ of these blacks is quite short, when compared to Glenshee’s Tiger or the back corrie at Nevis. 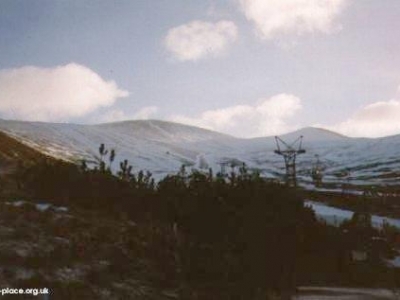 The lower section of the Ciste is much gentler, but this is no longer lift served (see below). 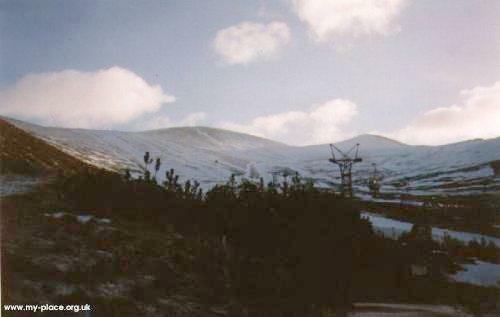 In Dec 2001 a brand new £15m funicular, replacing the 40 year old White Lady and Car park detachable double chairs was opened at Cairngorm. 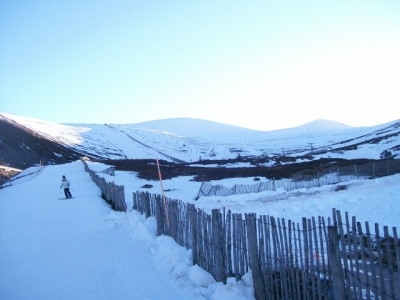 The new funicular was intended to improve access to the sheltered, gentle Ptarmigan bowl at the top of the mountain, however the track was built too close to the ground and is sometimes blocked during periods of high snowfall. 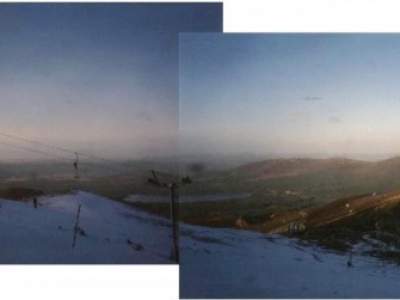 As for the rest of the area, the lifts are a mixture of poma buttons and T-bars. The two stage double chair which runs up Corrie na Ciste to the bottom of the Ptarmigan bowl is now mothballed, and a number of other lifts which appear on the older piste maps have been removed. In the Ciste zone, the West Wall Poma is now the only available uplift. This lift does not properly serve the runs in the Ciste gully, you will need to cut your run short and traverse/poll your way around to this lift. 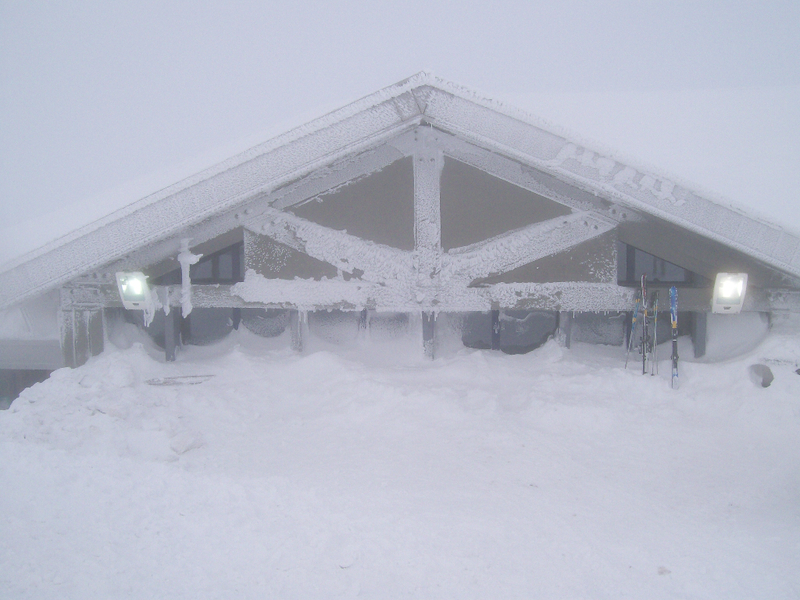 The lower part of the Ciste gully leading the Ciste car park is no longer lift served, although a bus link does operate during busy periods to enable skiers and boarders to return to the main uplift at the Cas car park. Uplift capacity was significantly reduced after the implementation of the “core lifts” strategy in 2005. 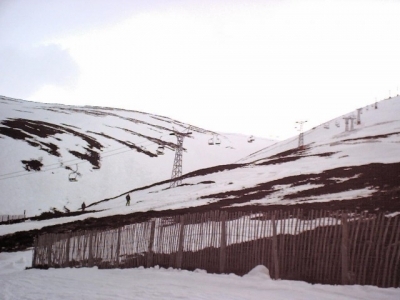 This involved the removal of several lifts and the mothballing of the 2 chairlifts in the Ciste, significantly reducing the uplift capacity. Combined with White Lady T-Bar (which was not scheduled for closure) suffering a major mechanical failure which was never rectified, uplift capacity is now considerably reduced. However, the maximum number of tickets sold does not appear to have been reduced to match the lift capacity, leading to queues in excess of 30 minutes on busy days. You can also expect long queues for the Ciste shuttle bus. 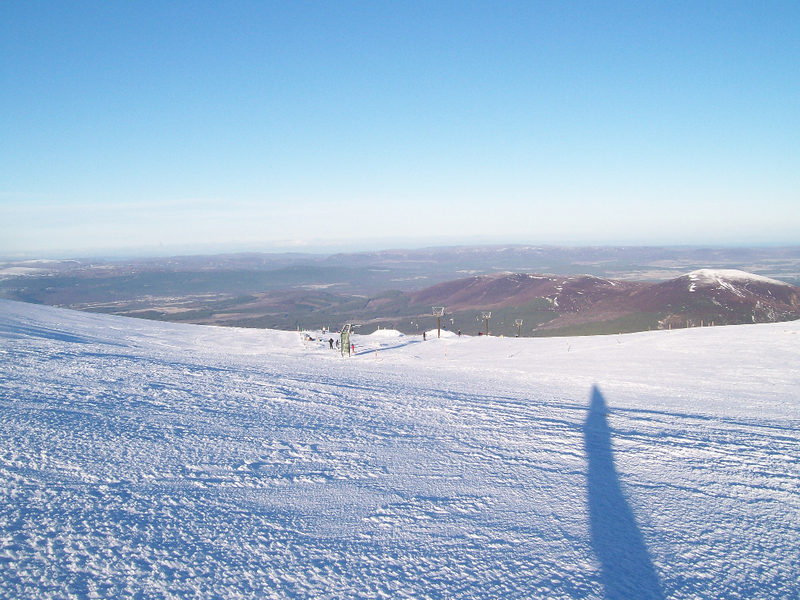 Until this situation is rectified, Cairngorm is best avoided on busy days. 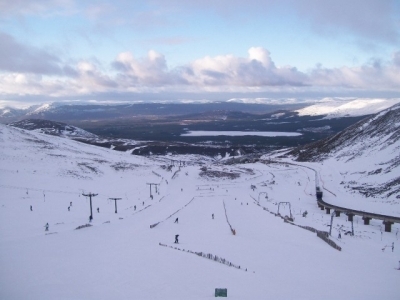 Cairngorm is located a few miles from the highland resort of Aviemore, which is the closest thing Scotland has to a proper ski resort. There you will find a large number of hotels and guest-houses (everything from a Hilton to an SYHA Youth Hostel) alongside bars and nightclubs. 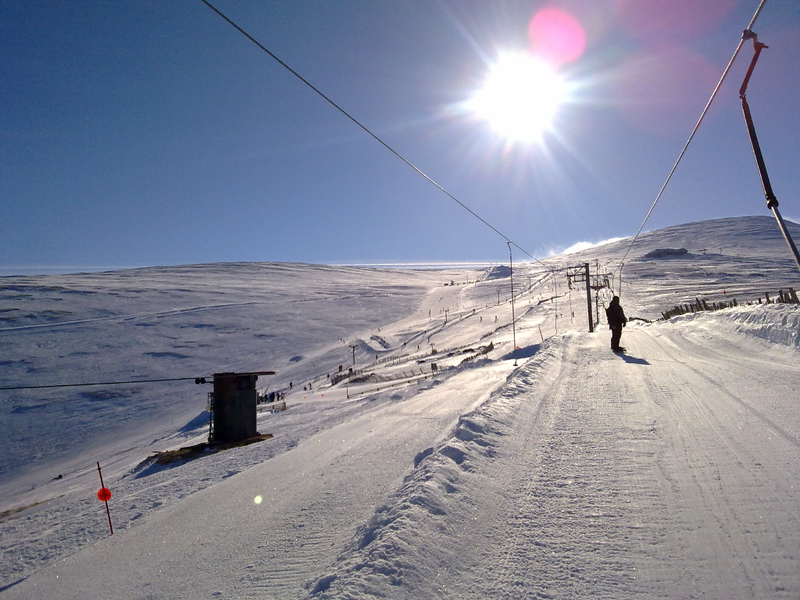 The town has a railway station and a regular ski bus service links the town to the ski area base station.